Metal Gear Solid 3: Snake Eater is an action-adventure stealth videogame produced by Konami Computer Entertainment Japan for the PlayStation 2. 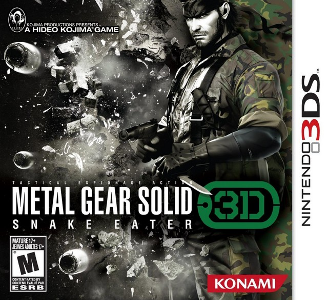 In 2010, Konami announced a full Metal Gear title for release on the 3DS, which was revealed at Nintendo World 2011 to be Metal Gear Solid: Snake Eater 3D. Metal Gear Solid: Snake Eater 3D runs great in Citra. Graphically, there are no issues other than minor white lines in codecs with above native resolution. May require decent hardware to obtain near full speed. Enabling Circle Pad Pro will crash the emulator. AMD graphic card wont achieved full speed. Expect full speed until the pipeline to be completely rewritten or another workaround.